One of the most satisfying elements of looking at plants in the wild, as I have done for the past 35 years, is understanding the interconnectedness of the flora of this planet we share. We are often guilty of assuming that life forms other than humans obey the borders of the multi-colored globe we have constructed with states and countries. Nature as a whole—unless completely walled off from natural migration—pays no nevermind. When the supercontinent of Gondwana broke apart 180 million years ago, the southern most chunks of drifting real estate carried with them an assemblage of ancient plants closely related to Magnolias in a family called the Winteraceae. The South American representative, Drimys winteri (the only member of the family to extend into the Northern Hemisphere) rose to fame as the first commercial cure for scurvy. On a bit of land drifting further to the west, now called Tasmania, evolved Tasmania (Drimys) lanceolata. Its dried leaves and fruit were long used by aboriginals as a flavoring agent and is gaining in recognition as a condiment possessing a considerable degree of ‘heat’ in our region’s cuisine. 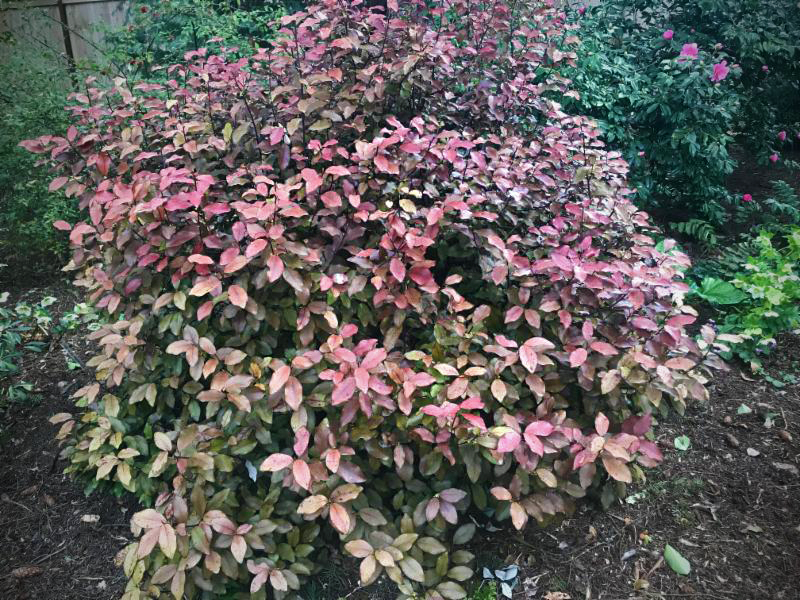 Pseudowintera colorata makes an outstanding evergreen shrub for the PNW though is seldom encountered. 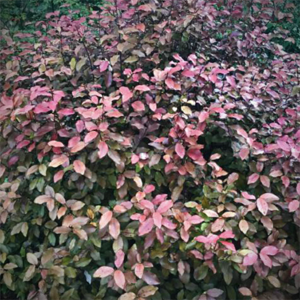 The foliage takes on burgundy tones during the winter, becoming more burnished bronze during the summer. Small green flowers appear in early spring; each a miniature ‘magnolia’ if observed closely. It might be of interest to note that members of this family do not possess water conducting tissues known as vessels, immunizing the stems from ‘vessel aneurysms’ during extremely cold temperatures.